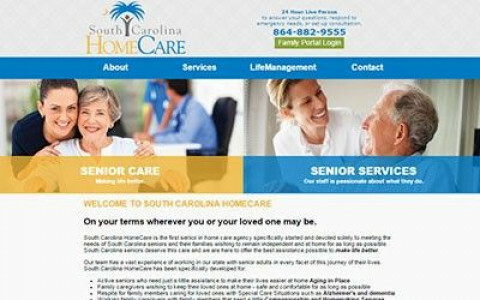 Click/tap here to find the best South Carolina professional website designer for your needs! 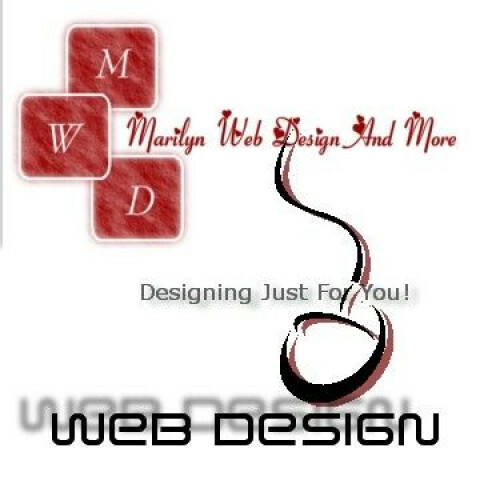 Web101 Marketing offers website design, development, and marketing services to small businesses and home based businesses. "Get On, Get Found, Get Business!" 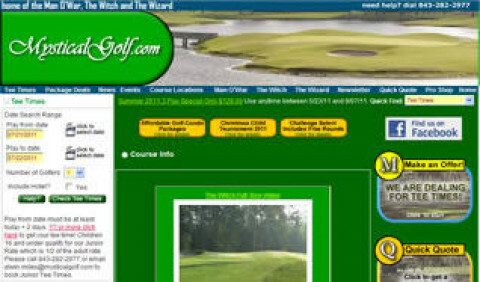 web|aggression is a web design, web development and web site consulting firm located in upstate South Carolina. We offer a wide variety of Internet- and Intranet-related services to satisfied clients all over the world. 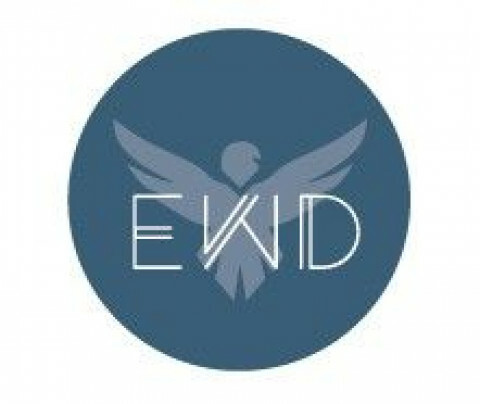 Eagle Web Designs is a Custom Website Development and Marketing company. 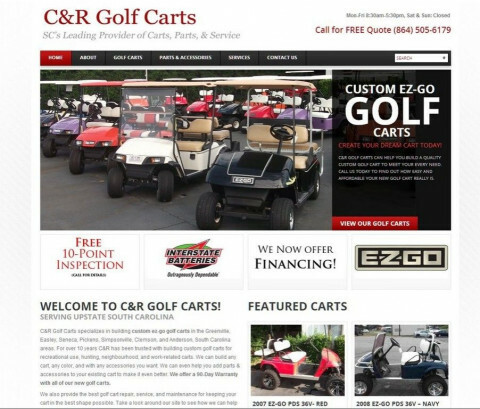 We offer custom website design and development, custom programming, custom CMS (content management systems), marketing services, branding, hosting, domain name registration, logo design, business card design, brochure design, ecommerce solutions, mobile websites, and more. is the Custom Design Studio of Jason Harris, Specializing in User-Friendly Website Design and Mobile Applications. Whether you need an affordable small website, or a large eCommerce platform focusing on reliability, security, and exposure, or anything in-between, contact Nebula Technologies. We specialize in innovation, including pioneering cross-platform mobile app design. 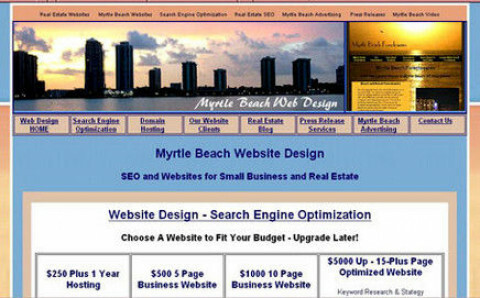 We will make your website and perform Search Engine Optimization for less than anyone in town! 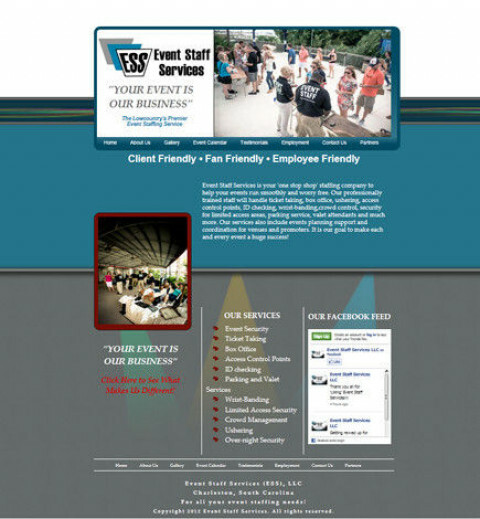 Cohesive Web Design provides professional web design services to Greenville, SC and surrounding areas. In addition to website design, we also offer search engine optimization (seo) services. Blue Bigfoot Media is a full-service online marketing agency in Greenville, SC offering affordable and effective marketing solutions to local businesses. We develop custom-tailored marketing strategies to help businesses reach new customers, gain a competitive edge, and build their bottom line. 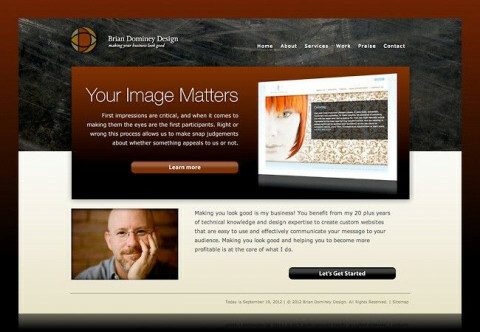 Developing knock your socks off custom Web designs and business marketing strategies using focused imagination. 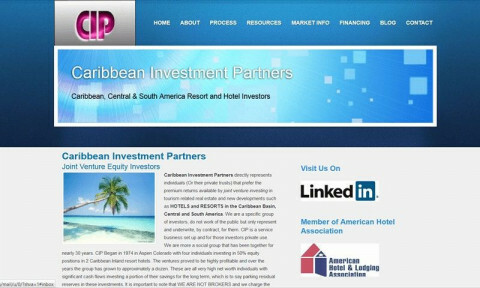 Delivering a return on your investment is our passion. 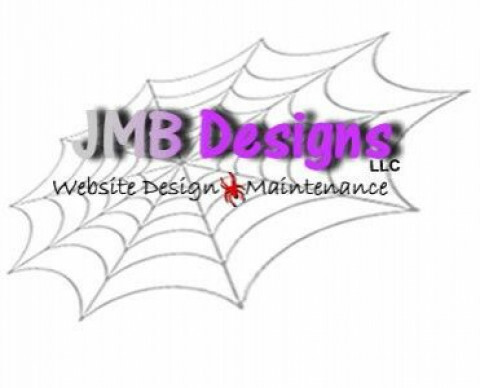 Freelance web site designer. 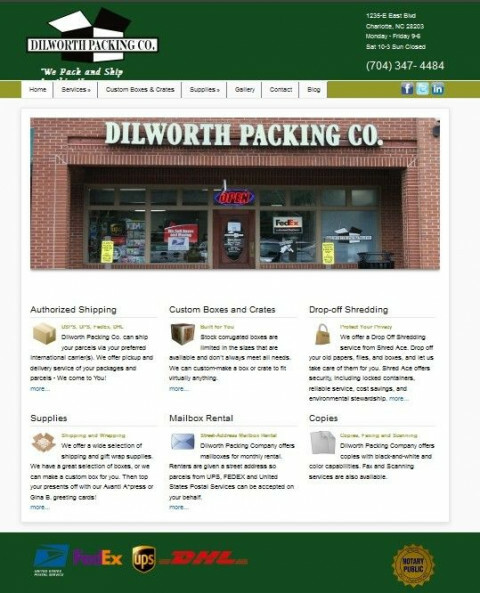 Newly created web sites and/or enhancements of existing web sites. 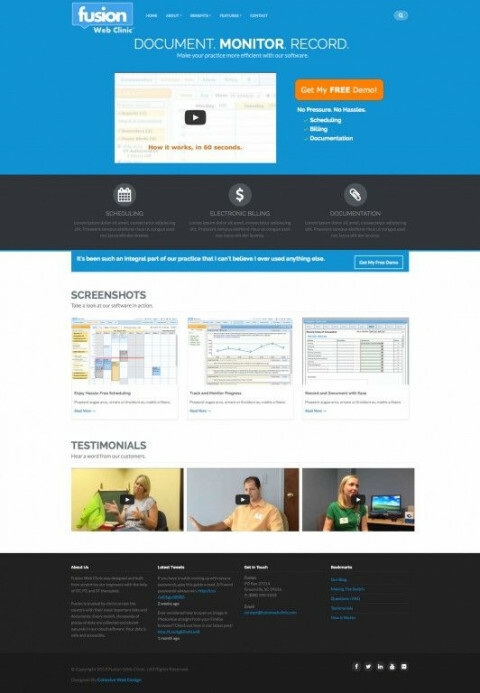 Arche Designs is your resource for professional website development and innovative business solutions! We can help identify, craft, and clearly communicate your message. Our expertise in design strategy, emerging web technologies and crafting the ideal user experience will help elevate your business to the next level. 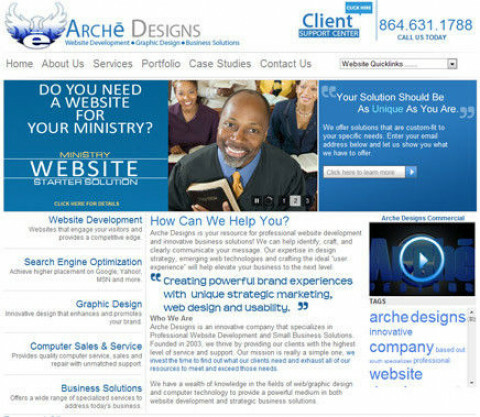 Arche Designs is an innovative company that specializes in Professional Website Development and Small Business Solutions.